Hi, From Rome we said goodbye to Sarah as she headed back to Melbourne so we headed off to Venice for 3 nights with an American girl (Kaitlyn) whom was travelling by herself that we met in Rome. It is always good to travel with someone new...some new conversation is always welcomed!! After a long trip we spent the night at the camping grond and the following day went into Venice and spent the day with a couple of friends from back home Michael and Andy which was good and just spent the day walking around the narrow alleys and canals and ofcourse getting very lost!!! 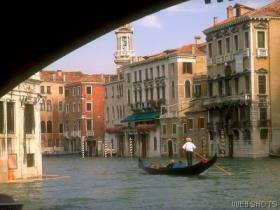 Maanged to do a gondala ride through the canals. After a massive day of sightseeing we thought that we would treat ourselves with a relaxing day by the pool working on our tan (which is quite good at the moment!! ).